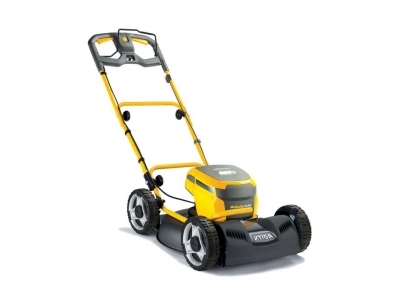 There are now cordless mowers to suit all types of garden. 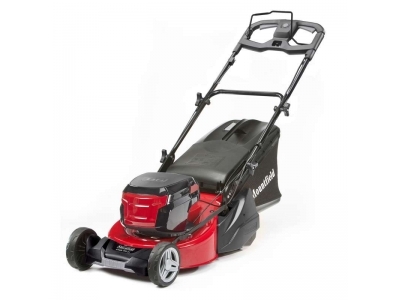 The Freedom 48 mowers with their lightweight plastic bodies are ideal for the smaller town lawns, but the larger and rougher country lawns may require something a little tougher. 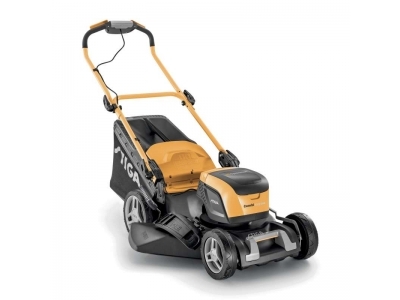 We now also have the Stiga 80volt range which have powerful electric motors mounted on steel decks originally designed for petrol engines. These lawnmowers are available in widths up to 53cm and benefit from strong self propelling gearboxes in some of the models. 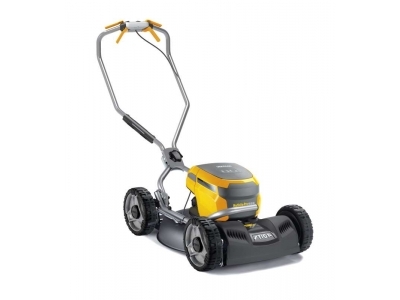 Now, new for the 2019 season we have 500 synchronised range which represent the next generation of cordless mowers. 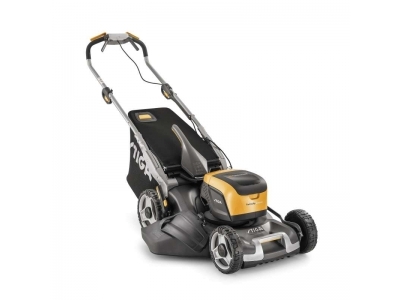 Please use the product filter below, and to the left to find your ideal cordless mower, just enter your requirements and press "filter"
The Multiclip 50S AE is a self propelled mulching lawnmower powered by the new 80V battery. 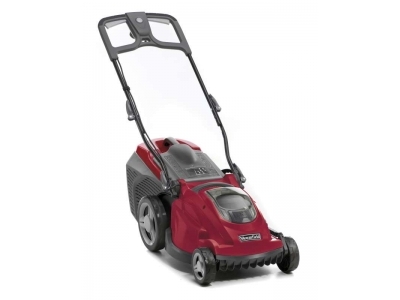 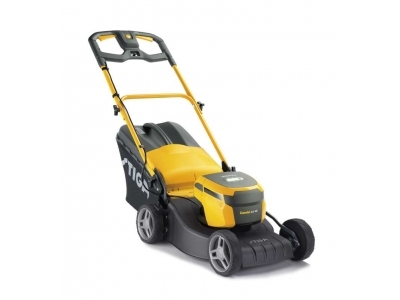 The large 48 cm cutting deck ensures an excellent finish for your lawn. 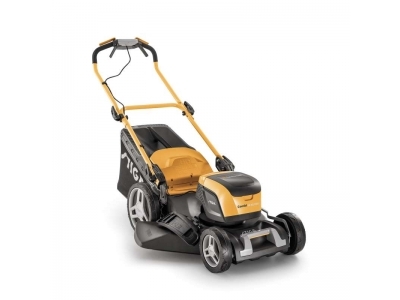 The Multiclip Pro 50S AE is a self propelled mulching lawnmower powered by the new 80V battery. Designed for Pro use, with heavy duty offsetable handles and with 2 4.0ah batteries. 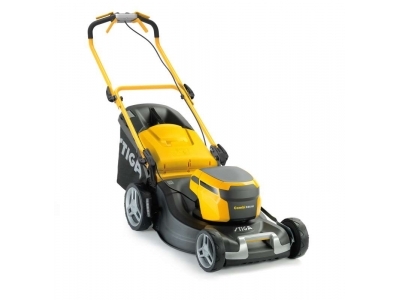 The Stiga Combi 43 AE hand propelled mower features a powerful 80volt motor in a heavy duty steel 41cm chassis. 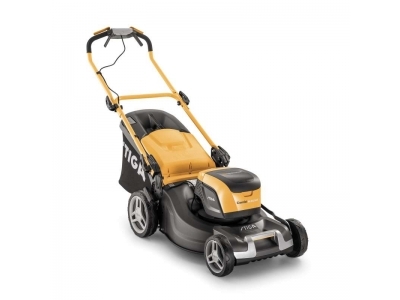 The Stiga Combi 43 S AE self propelled propelled lawnmower features a powerful 80volt motor in a very strong steel 41cm chassis. 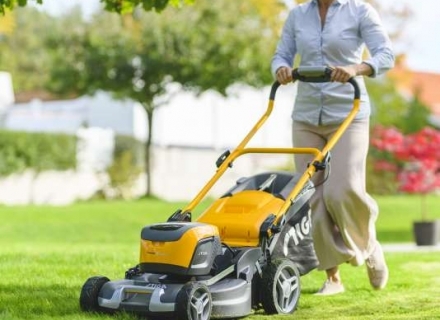 The Stiga Combi 50S AE breaks new ground in offering the convenience and power of an 80Volt Li battery in a heavy duty steel chassis normally found on a petrol powered machine.